Born in Bremen, Germany, on 6 March 1785 as Gesche Margarethe Timm, Gesina was an attractive, blonde, blue-eyed, middle-class girl with a number of gentleman callers. In 1805 she married Johann Miltenberg, a successful businessman. In fact, the success was built on an edifice and the foundations were being eaten away by his drinking, much to his new wife’s disgust. She knew that her mother used arsenic to kill rats so she tried some on her husband, putting it in his beer. He died on 1 October 1813, her first victim. Not wishing to be alone, she took a lover, a wealthy but shy man called Michael Christoph Gottfried. He was not keen to adopt a ready-made family and, fearing he would leave her, she killed her children: daughter Johanna died on 10 May 1815, followed eight days later by her other daughter, Adelheid and, on 22 September 1815, Heinrich, her son, died from poisoning. Gesina’s parents did not approve of Michael Gottfried and made their feelings very clear. 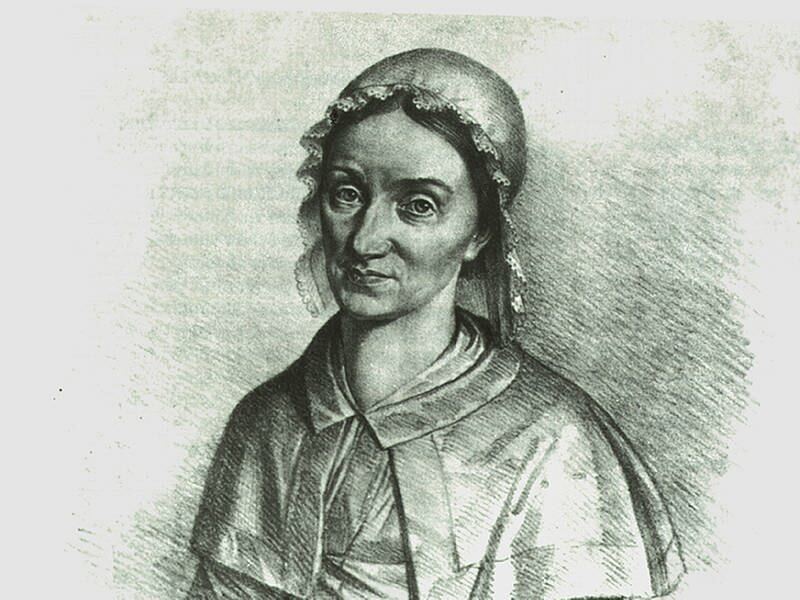 However, Gesina was not a woman to let parental disapproval stand in the way so she invited herself to dinner at their home — and promptly poisoned them: her mother, Gesche, died on 2 May 1815 and her father, Johann, on 28 June 1815. In the early summer of 1816 her alcoholic brother, Johann, arrived on leave from the army. Gesina was afraid that he might start asking awkward questions about the deaths of their parents so on 1 June 1816 she poisoned him, too. His death was ascribed to venereal disease. All these deaths made Michael Gottfried even less keen on marriage so she began to poison him bit by bit while openly caring for him. Finally, in a delirium, he agreed to marry her. He signed over his worldly goods to her and on 5 July 1817, a few hours after the ceremony, he died in agony. She took a break from murdering for some years and even found a new fiancé, Paul Zimmermann. On 1 June 1823, he, too, died after he was poisoned. It seemed that virtually everyone who came into contact with Gesche Gottfried ended up dead. She poisoned her friend, Alma Lucia Meyerholz, on 21 March 1825 and another friend, Johann Mosees, nine months later. She landed a job as housekeeper to the Rumpff family after the bank foreclosed on her house in the Pelzerstrasse. Mr Rumpff worked as a wheelwright and on 22 December 1826 Gottfried murdered his wife, Wilhelmine, two days after she gave birth to a son. Death was put down to complications of childbirth. Gottfried continued to work in the house and gradually Rumpff began to feel ill. In the space of three days (13-15 May 1827) Gottfried murdered her friend Beta Schmidt and her daughter. Despite marrying wealthy men, Gottfried borrowed money. One of her creditors was Friedrich Kleine. He was murdered on 24 July 1827. Herr Rumpff waited until his housekeeper was out and went to the larder where he ate some uncontaminated food. Regaining some strength, he rummaged among the foodstuffs and found a joint of meat covered with a white powdery crust. He took it to the police who identified the powder as arsenic. When those closest to her fell ill, it seemed that Gottfried was nursing them conscientiously, leading to her being nicknamed the “Angel of Bremen”.